Earlier this week The Exile’s Violin was free on Amazon. It ended up hitting #3 in the Epic Fantasy subcategory under Free Science Fiction & Fantasy. That’s certainly a result that will give an author the warm and fuzzies. That’s all you have to do! “Easy as eating pancakes” as my 8th grade math teacher used to say. And if you want to help me out, feel free to write reviews of any my works. Post ’em to Amazon, Goodreads, your blog, wherever you want. Any little bit helps and I appreciate it a ton. Send your proofs of purchase to rshunter (at) rshunter-author (dot) com. 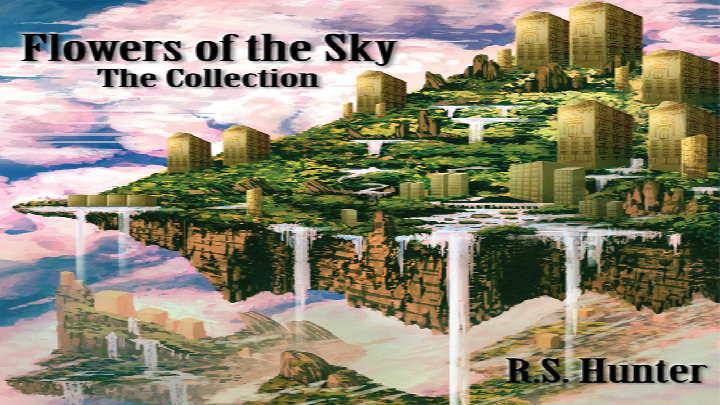 Remember to tell me if you want an ePub copy or a Kindle copy of Flowers of the Sky.